Moscow-born Alexander Janiashvili is a young Georgian patriot and entrepreneur who wants to see his country take a stronger line with Russia, the powerful neighbour to the north. 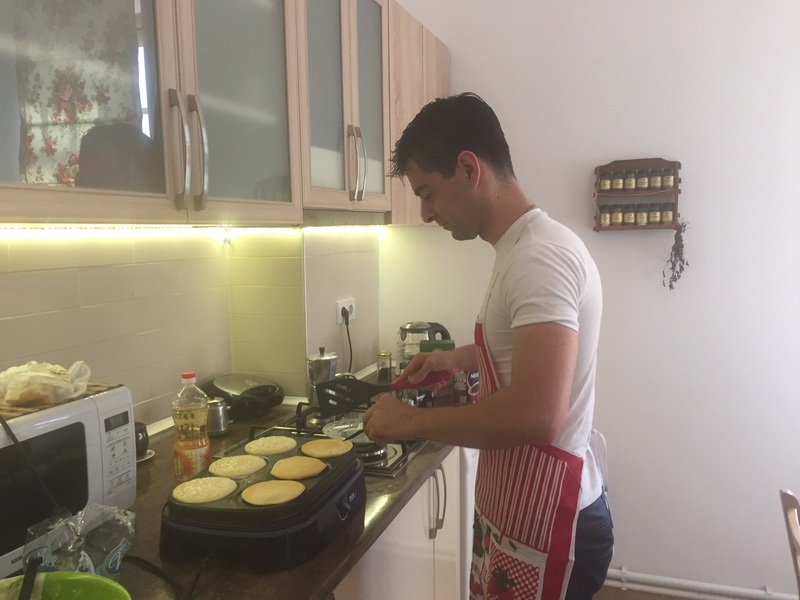 Alexander, 32, is a man of unusual energy who often starts his working day flipping pancakes for guests at the Pushkin 10 hostel he part-owns in the heart of Tbilisi. Between 20 and 30 percent of his guests are from Russia. After breakfast he heads off to his other job, working as a petroleum geologist at a small Georgian company in the oil business. A tall, dark-haired man with presence, Alexander says he puts in about eight hours a day at each of his two workplaces. Born in Moscow where his father stayed on after studying, he spent the first 26 years of his life there but is now settled in Tbilisi. Given his knowledge of both Georgia and Russia, I wanted to get his perspective on the state of his country, whose affairs seem still to be so enmeshed with its big neighbour. I made the questions very open, to see where the conversation flowed. We soon moved on to thornier matters of Georgian politics and international relations. In my experience, many a discussion of Georgia’s path leads to a focus on one name – Mikheil Saakashvili. The conversation with Alexander was no exception. Saakashvili led the Rose Revolution of 2003 which brought Soviet era leadership in Georgia to an end. He was president from 2004 until 2013 and won plaudits for his campaigns against crime and corruption. He is an arch-foe of Vladimir Putin, who once said he wanted to hang Saakashvili “by the balls”. I asked Alexander how he saw relations with Russia evolving. Russia beat Georgia in a war in August 2008 and Georgia’s breakaway regions of Abkhazia and South Ossetia are now aligned with Moscow. Many Georgians would say they are effectively occupied by Russia. Alexander replied: “One of the best things that Saakashvili did during his presidency, that you could not imagine before, was that Georgia became really independent of Russia, absolutely independent. Before we were very dependent on the trading with Russia, our wine, agriculture. We were getting gas from there and many Georgians worked there sending money to here and gradually they (the Saakashvili government) closed visas – we can’t go there, we can’t trade with there. We started getting gas from Azerbaijan, zero from Russia. So we could survive without this. Alexander said he believed the Georgian government was following Russian instructions. Ivanishvili is a Georgian billionaire who made his fortune in Russia in the era of privatisation and founded and led the Georgian Dream coalition which took on Saakashvili’s party in the polls and defeated it. In one early round of political sparring between the two men, Saakashvili’s government deprived Ivanishvili of his Georgian citizenship. Ivanishvili has for years faced accusations that he is a stooge of Russia. He denies this and says that he himself is critical of Putin. 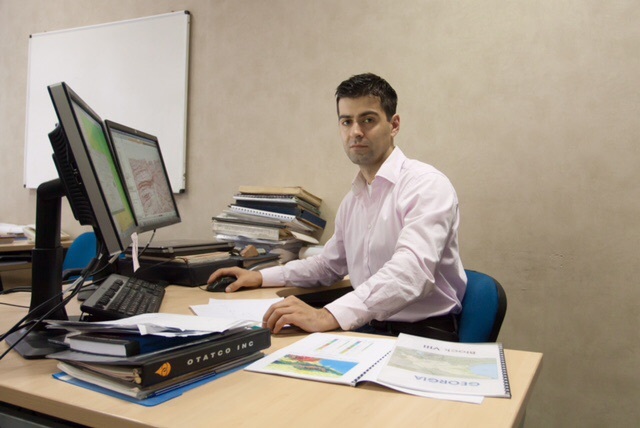 He depicted his campaigning against Saakashvili as an attempt to rescue Georgia from a government that was increasingly authoritarian. Saakashvili is now banished from Georgian politics. He is wanted in his own country on charges of abuse of power, but he says these charges are politically motivated. Earlier this year the Ukrainian government appointed Saakashvili governor of Odessa. Alexander added: “Also he was pushing on education…he brought 10,000 English speakers to the country (to teach the language).” Alexander said he had heard from an American involved in the programme that only 65 of these native English speakers were still working in the country. My conversation with Alexander highlighted a singular truth about Georgia. The country has a president and a prime minister, but Georgians barely mention them. Somehow they are not rated as important. Georgians talk about Saakashvili, now governing a Ukrainian province, and Ivanishvili, who is the richest man in the land but has no position in the government. These two men and the feud between them do much to shape the whole emotional field of national politics. Finally I asked Alexander about his “high dream” for his country, what would be the best scenario? He talked about the need, as he saw for it, for Georgians to take more responsibility for their own lives. He said many of his compatriots wanted the occupied territories of Abkhazia and South Ossetia to be reunited with Georgia. For this to happen, he believed Georgia had to work on becoming a more attractive place. “I think we should deserve it…We should develop ourselves, we should be attractive for them,” he said. Alexander is not alone in feeling that Georgia could be doing better, but his hostel and the wider tourism industry are doing well. At his Pushkin 10 hostel, tourists from the former Soviet Union rub shoulders with Westerners and both Russian and English are heard over breakfast as those pancakes arrive at the table. It is a stimulating place to be. Foreign Affairs magazine has two articles, available online at http://www.foreignaffairs.com, on Saakashvili’s legacy. So Long, Saakashvili by Thomas de Waal, Oct 29, 2013 and Debating Saakashvili. Natalia Antelava and Thomas de Waal, Dec 9, 2013.